Savills Studley announced that the firm completed the upfront phase of a headquarters relocation project for the PGA of America, one of the world’s largest sports organizations. The PGA recently finalized an agreement that will move its headquarters from Palm Beach Gardens, Florida, to Frisco, Texas in mid-2022. Savills Studley was hired by the PGA to develop a creative real estate plan to cater to its growth and the next phase of the Association. The PGA of America — which has nearly 29,000 professionals — has outgrown its existing footprint in Palm Beach Gardens and needs a new, state-of-the-art facility and education center to call home, while remaining in a golf-centric location. The golf association will anchor a 600-acre, mixed-used development in the City of Frisco, which will have an estimated initial public-private investment totaling more than $520 million. As advisors to the PGA, Savills Studley has provided real estate consultation and support throughout the entire process — from workplace assessment, workforce strategy, identifying and negotiating incentives to financial consulting. The PGA will also still maintain a presence in Florida, with approximately 100 employees remaining at its current site in Palm Beach Gardens. Savills Studley screened potential locations that would support a golf environment, with warm weather, enhanced connectivity to the PGA’s membership, easy access to a major international airport and a strong industry talent pool. After analyzing multiple locations throughout the country. In conjunction with the PGA of America, the company narrowed down the search and conducted incentive negotiations with eight communities. Following a confidential and targeted process, Frisco emerged as the ideal new home for the PGA’s headquarters and education center. The strategy that Savills Studley developed included many moving parts. In addition to assisting the organization with its headquarters search, it helped negotiate over $20 million in incentives from public and private parties, including performance incentives from the City of Frisco through its Economic Development Corporation, as well as from the State of Texas. This overall development is estimated to have an economic impact of more than $2.5 billion over the next 20 years, based on a city-commissioned tourism feasibility study. The PGA Frisco development, which will be located at Rockhill Parkway and Legacy Drive, will include two championship golf courses, a short course and practice areas totaling 45 holes. There will also be a clubhouse; a 100,000 s/f global headquarters and education facility; a 500-room Omni resort hotel; a 127,000 s/f conference center; a technologically advanced retail village; parks and open space, plus several miles of trails. The multidisciplinary Savills Studley team was led by Cheri O’Neil, senior vice president and branch manager for the firm’s Tampa office. David Fleisher, senior managing director in Savills Studley’s New York headquarters, spearheaded the workforce strategy and incentives negotiations on behalf of the PGA of America, along with assistance from other members of Savills Studley’s KLG team. Ric Kanatzar, managing director in Savills Studley’s Dallas office, provided the local brokerage effort in Frisco. Bob Orban, senior vice president and branch manager for Savills Studley’s Miami office provided brokerage support in South Florida. Michael Broome, corporate managing director in Savills Studley’s Atlanta office provided financial consulting for the project. 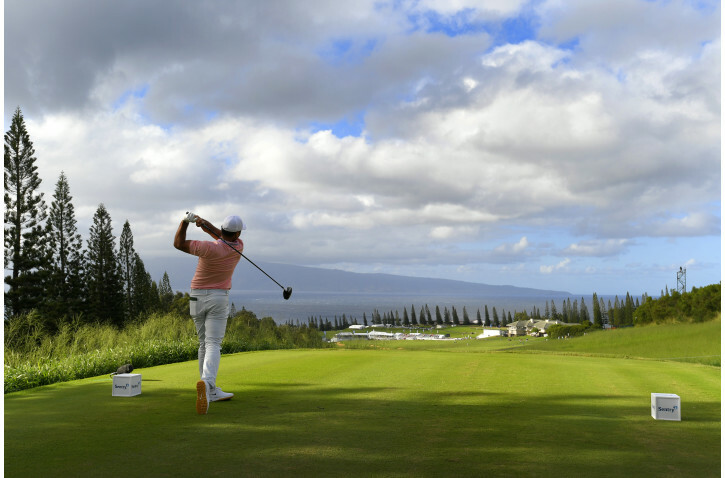 “This is a transformational relocation that will allow the PGA of America to further its mission of growing interest and participation in the game of golf,” O’Neil said. “The advice and counsel we received from Savills Studley was valuable, as we navigated a complex process in our search for a new, transformational, state-of-the-art headquarters,” said PGA of America Chief Innovation Officer Arjun Chowdri. The golf courses are expected to open in summer 2022. The hotel, convention center and other facilities are expected to open within six months of that date. PGA Frisco will eventually be home to an unprecedented cadence of championships, including the PGA Championship, KPMG Women’s PGA Championship, KitchenAid Senior PGA Championship, PGA Professional Championship and PGA Jr. League Championship presented by National Car Rental, as well as a potential Ryder Cup.